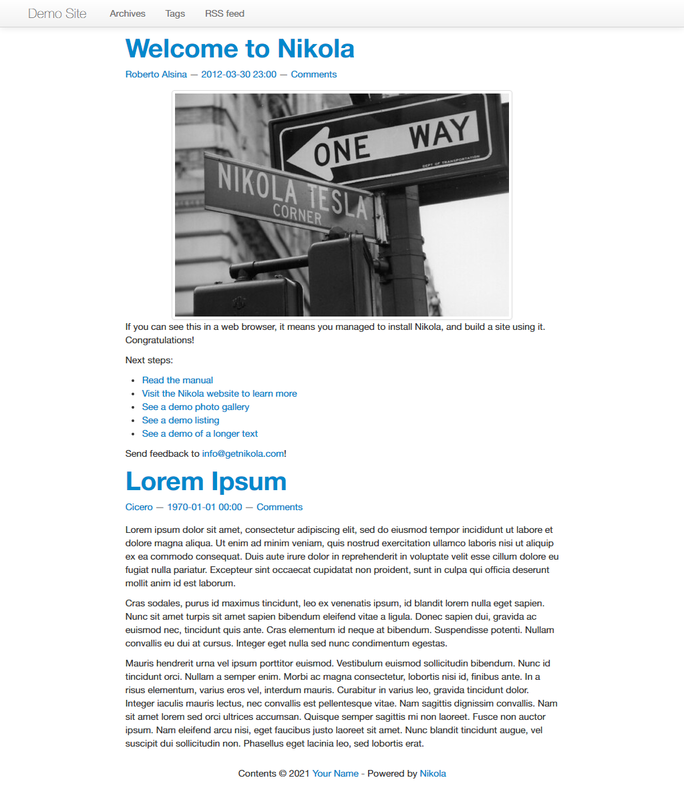 This is the original Bootstrap 2 theme for Nikola. This theme is not supported by the Nikola and Bootstrap developers. Use at your own risk, upgrade to bootstrap3 (shipped with Nikola) whenever possible. Has a fixed navigation bar at top that displays the NAVIGATION_LINKS setting and supports nested menus.